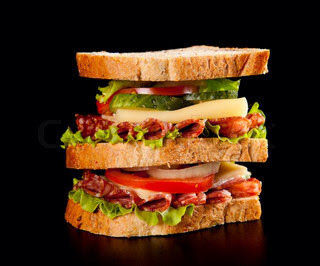 When John Montagu, the fourth Earl of Sandwich, ordered beef served between slices of bread about 250 years ago he probably did not think his request would become a global convenience meal.The story goes that the Earl asked for the particular serving so that he could eat while continuing to play cards and his friends asked "to have the same as Sandwich", according to the British Sandwich Association. The first written record of the sandwich was in 1762 and the Kent town of Sandwich, which is the earldom of the Montagu family, is celebrating the 250th anniversary of the meal. Sir Edward Montagu, a prominent naval commander, became the first Earl of Sandwich when he was offered a peerage in 1660. Sir Edward chose the title because "at the time Sandwich was the premiere sea port in England". "When he was offered the earldom he could have chosen Portsmouth but he chose Sandwich - today we could be eating a Portsmouth." "The fourth Earl was a complex character. "He's First Lord of the Admiralty three times but he was a bit of a lad and he did stay up all night playing cards on many occasions." "Eating of record at the time was service á la française where all the food went on the table at the same time and there was an elaborate ritual of carving, aided by troops of servants," The Earl of Sandwich was eating with his fingers "when cutlery was de rigueur". "What you have with the sandwich is the shock of informality. He was a daring man to eat in such a way coming from his social background." "Other people were probably eating in that way anyway but they were people who weren't written about,"
Over the weekend the east Kent town hosts sandwich-making competitions and re-enactments of the moment the fourth Earl of Sandwich asked for the food in bread. On Sunday the 11th Earl of Sandwich, who shares his name with the fourth Earl after which the sandwich is said to be named, hosts a lunch in Sandwich.John Montagu said: "I am delighted to wish a happy 250th birthday to the sandwich. "My ancestor, the 4th Earl, could never have imagined that his simple invention would spawn a multi-billion dollar industry, employing hundreds of thousands of people in this country." Of course, the big question is....... What's your favourite sandwich filling? Ben & Jerry's Karamel Sutra - It's Naughty! Duck Eggs - Can You Tell The Difference?